We need your help. The Pet Fund is supported by donations from individuals, corporate sponsorships, and foundation grants. Your contribution will have a significant impact on the lives of companion animals and their owners. Your donations save lives. As the cost of veterinary care continues to rise, more help with medical funding is needed. Each donation increases the funds available for animal medical care assistance. Help keep animals out of shelters. In donating to The Pet Fund, you will be both helping to keep pets out of shelters and affecting the welfare of animals far into the future. We appreciate your generosity and your devotion to companion animals. 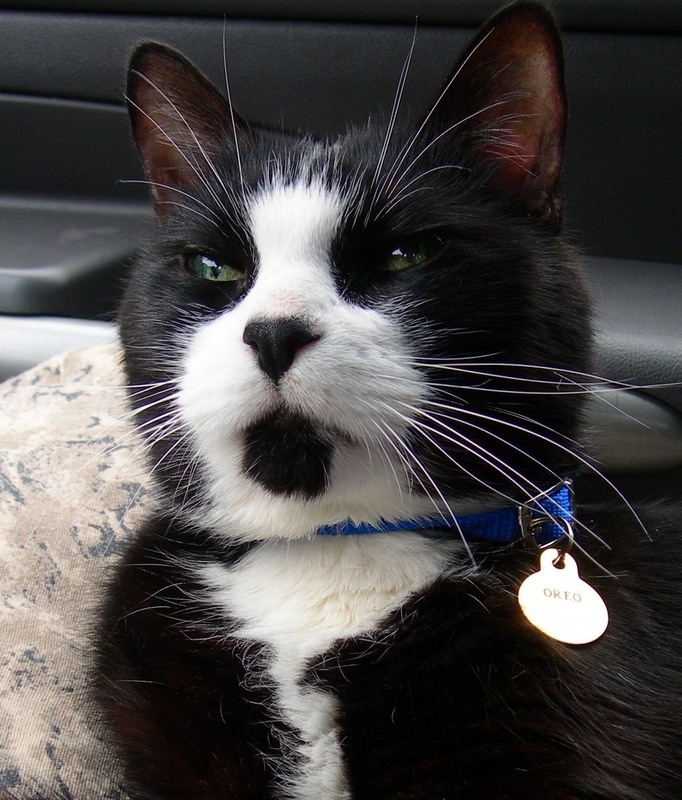 Your donations helped Oreo with critically needed medications. Individual Donations. All donations to The Pet Fund are completely tax-deductible. Individual donations at the $200 level and above can choose from among our donor thank you gift options for a donor thank you gift! Gift options below! Making a Named Gift is one way to honor the memory of our companion animals by establishing a special named fund to be used for animal medical care. This is a special way of leaving a personal legacy which will benefit pets in need. You may also want to consult your tax advisor, financial advisor, or attorney about planned giving advice. Donor Advised Funds are charitable giving vehicles administered by a public charity created to manage charitable donations on behalf of organizations, families, or individuals. For more information about Donor Advised Funds, click on the Donor Resources page of the website here. Gifts of Stocks allow you to avoid capital gains taxes in addition to the charitable income tax deduction, while generously supporting the work of The Pet Fund. Charitable Remainder Trusts are charitable gifts of cash, securities, or other assets such as real estate which are put into a trust. These assets are then invested to generate income, which is paid annually to you and to the beneficiaries of your choosing. This is another way of making a gift which provides you with income for life. Charitable Gift Annuities offer you another way to make a significant gift to The Pet Fund while providing for your own financial future. In addition, income tax deductions as well as reduced estate taxes make this an appealing gift option. Making a Gift of Life Insurance by naming The Pet Fund as your beneficiary or by contributing the value of the policy by giving ownership of your policy to The Pet Fund creates another income tax deduction option. Making a Bequest to The Pet Fund in Your Will or Living Trust is another planned giving option which would support The Pet Fund. This gift can be specific monetary donations, other assets such as stocks, or real estate. Gifts can be directed to: The Pet Fund, 2747 14th Street, Sacramento, CA 95818. Corporate Sponsorships. Corporations donating to The Pet Fund receive not only the benefits of tax-deductible giving but also increased national visibility as businesses who care about companion animals and their communities. Our website receives thousands of visitors and our network of veterinarians, pet owners, and corporate sponsors have the opportunity to learn about your organization and the services you provide. Each resource helps our applicants as well as our donors to become educated about the options available for preventative care, financial assistance resources, and helpful products. We appreciate your continued support of our important work! A bag of gourmet organic dog treats from The Animal Cookie Company, makers of vegetarian, vegan, and allergy-sensitive dog cookies. 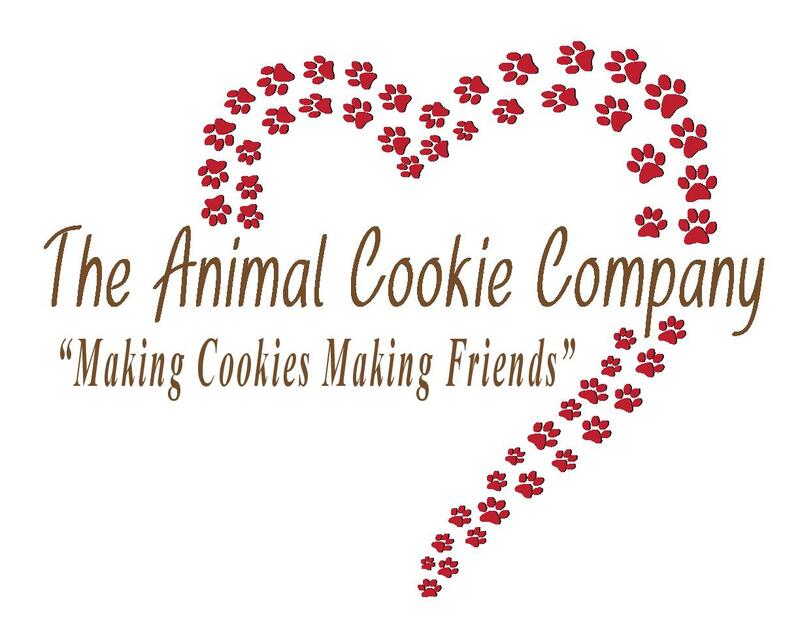 Their delicious all-natural cookies are high in Vitamin A and antioxidants and will prompt pure delight from grateful dog recipients! Cookies are available in Original Carrot Flavor, Sweet Potato, Carrot-Peanut Butter, or Sweet Potato, Apple, and Oat (vegan and allergy-sensitive recipe). Please request your preferred cookie flavor and be sure to mention any pet allergies. Soapy Tails soaps for dogs are handcrafted in small batches so they are mild and ultra-cleansing. Most dog shampoos can contain harsh ingredients that strip natural oils and dry out the skin leaving coats dull and lifeless. Soapy Tails bars hydrate naturally while gently cleansing active coats. Soapy Tails bars are free of SLS, parabens and petroleum based synthetic ingredients. Indulge your pets with a clean, radiant and healthy coat. In Cedar/Grapefruit, Citrus/Mint, Lavender/Eucalyptus, Oatmeal/Sweet Orange, and Tangerine/Bay Laurel scents. Please request your preferred scent. A year’s free online subscription to Animal Wellness Magazine, one of the foremost resources for pet health information and the only magazine produced in North America devoted to natural & holistic health for animals. Each issue shows you how to improve the quality of life for your pets through natural medicine, nutrition and holistic vet advice. The magazine features articles on natural healing and nutrition, advice from leading animal experts & holistic veterinarians, and much much more. 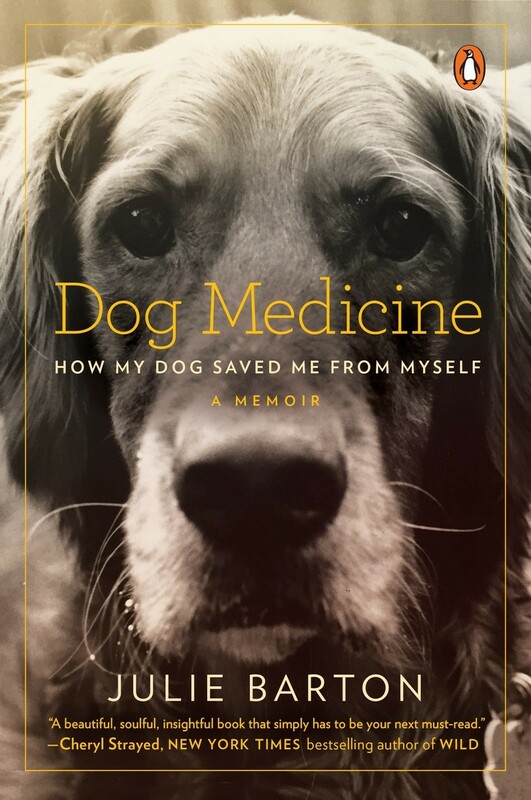 DOG MEDICINE: How My Dog Saved Me from Myself captures the anguish of depression, the slow path to recovery, the beauty of forgiveness, and the astonishing ways animals can help heal even the most broken hearts and minds. At age twenty-two, Julie Barton was living her childhood dream: living in New York City, working at a publishing company, and surrounded by a group of interesting and supportive friends. Yet, a year into her dream life, Julie had a complete breakdown, collapsing on her kitchen floor and barely having the strength to call her mom for help. After weeks of intervening by her parents, psychiatrists, and medication, Julie decided to try a different kind of therapy: bringing home a Golden Retriever puppy she named Bunker that changed her life forever. With him by her side, she decided to try again at life and love. Talking With Dogs and Cats: Joining The Conversation To Improve Behavior And Bond With Your Animals. 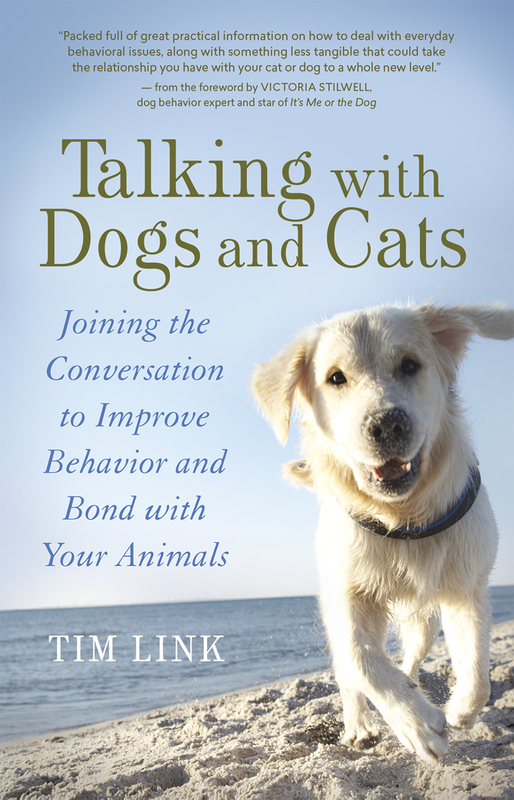 Animal communicator Tim Link provides an overview of accessible methods with which to understand and bond with dogs and cats. Enhanced communication techniques help solve behavioral problems and help pet owners engage more deeply with their companion animals. If you have ever wondered what your animal was trying to tell you with a bark or a meow, this is a wonderful resource for decoding animal signals, signs, and behavior. From separation anxiety, to socialization, to the sensitivity our pets have in mirroring our own emotions, this book provides a step by step guide to addressing behavioral issues at their source while unlocking the mystery of our pets' emotional lives. A must for every pet owner whose pets have behavioral issues. PetHub Gets Lost Pets Home. A voucher for a PetHub smart tag that will allow pet owners to protect their pets and get missing pets home faster. Allows anyone with a smart phone to see your information and contact you directly without the need for a microchip scanner. PetHub is a physical ID tag that links to a free online profile for your pet. That profile can have any information you want, including multiple emergency contacts, license & rabies tag numbers, microchip data, critical medications and other important data. For more information click here: https://pethub.com. At the $200.00 level, donors may select one gift which will be sent to you or to a recipient of your choosing. At the $500.00 level, donors may select two gifts. At the $1000.00 level or above, donors receive all the gifts! Please mention which donor appreciation gifts you would like with your donation!